We are pleased to announce that the 2014 NH LEGO League Master Builders Nov/Dec session registration is now SOLD OUT. As our first session wraps us we are looking forward to the next set of challenges starting November 5th. This session we will be focusing on some new challenges including a 2D Housing challenge. We have made some changes to the schedule for 2014. We will now be moving to 6-week sessions instead of 8-week sessions. This should allow more flexability with other activites, and allow us to keep the challenges fresh. We are also lowering the cost from $60.00 per session to $50.00. We have added online registration this year, with the option of Paypal or mailing a check. All students must be registered via the online form below. 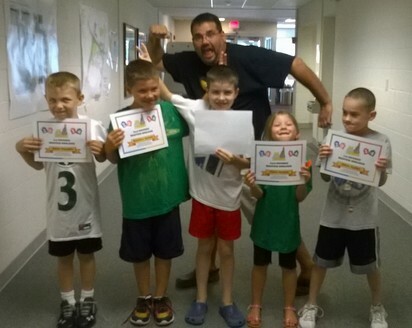 • Meetings are held in the evening at Bartlett Elementary School in Goffstown, NH for kids age 5-14. You do not have to be a student at Bartlett to attend, this program is open to the public. • Meetings are held on consecutive* Wednesdays from November 5th – December 17th. • Meetings are drop-off 6-7:30pm, parents are always encouraged to stay, but they can drop their kids off and return at 7:30pm to pick up. • Each new member will receive a LEGO Baseplate and Master Builder tiles to add to their collection. • Graduation will be held at the end of each 6 week session and Master Builders will stand with their peers and be recognized. 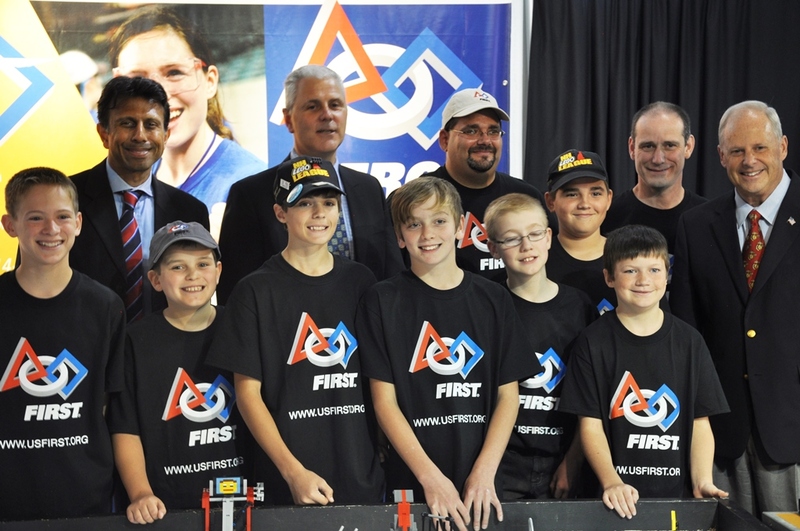 On a trip to NH, Louisiana Governor Bobby Jindal met with the Kings of Konstruction, a FIRST LEGO team based in Goffstown, NH. Gov. Jindal had a chance to talk with the kids and learn about how working with STEM related programs like FIRST can shape their approach to school and future careers. The team discussed how they approach problems by using design skills, reverse engineering, and programming. They also had the opportunity to demonstrate their robot for Gov. Jindal and NH gubernatorial candidate Walt Havenstien. “With all that Louisiana has been though since Katrina and the BP oil spill, it was an honor for the kids to meet Gov Jindal.” said Dan Hughes Team Coach. The Kings of Konstruction are getting ready to compete in the FLL World Class Learning challenge this November and are trying to return to state competition for the third straight year. 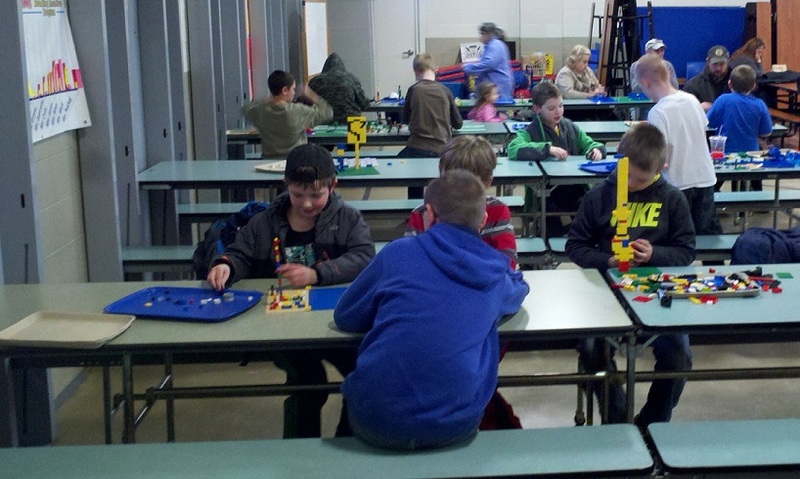 The Pelham Park and Recreation department recently hosted a five day camp for LEGO brick enthusiasts. Working with the NH LEGO League, each student was provided challenges to show off their creativity, teamwork, engineering, and communication skills. During the class students had to complete several unique challenges to earn their Master Builders Certification. The NH LEGO League is pleased to announce that we have entered into a partnership agreement with the Currier Museum of Art. This fall, we will be providing LEGO brick building activities in support of the M.C. 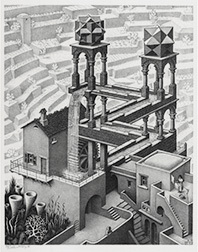 Escher Exhibit, which will begin Sept. 20, 2014. During the exhibit, The NH LEGO League will be working with staff from the Currier Museum of Art to teach students about the work of M.C. Escher then recreate his artistry in LEGO bricks. You couldn’t have asked for a better day to enjoy Old Home Day, all the wonderful tastes and smells of the fair, including the burning rubber…..wait what!!!!! 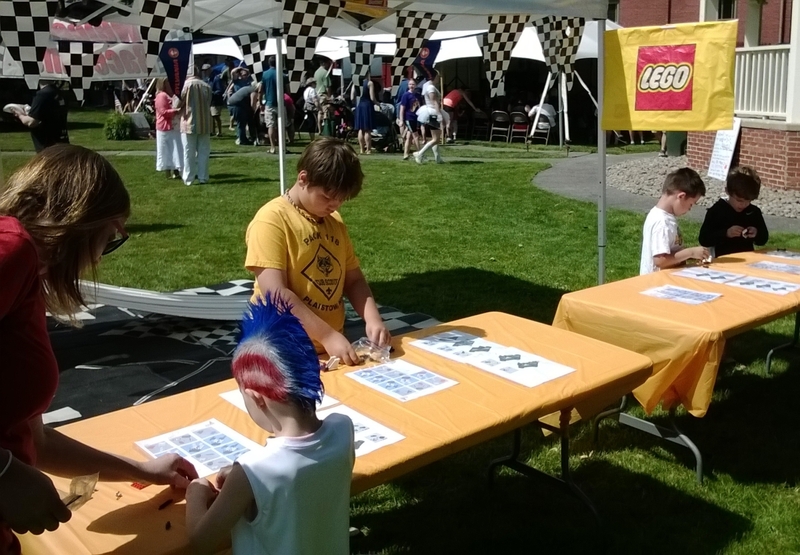 Not only did the Plaistow Old home day feature singing and science, food and fair, it also played host to a mini Bricktona 500© LEGO racing event provided by the NH LEGO League. Kids from across the region were able to build and race their very own LEGO race cars. Over 400 races were held during the day and the kids had a blast learning how a gravity track works and watching the racing action.